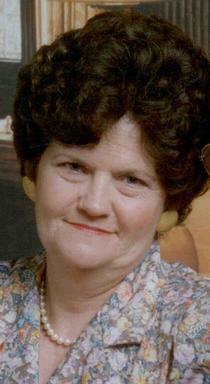 Anna E. McNeely, 77, of Proctorville, Ohio went home to be with the Lord on Monday, October 29, 2018 at home. She was born January 1, 1941 in Mt. Gay, WV. She was preceded in death by her father, Edward Beverly and her husband, Donald McNeely. She is survived by her mother Jeanette Beverly; three children Billy Ray (Debbie) McNeely, Elizabeth McNeely Neal and Robert Keith McNeely; two grandchildren Adam and Ashley McNeely; two great great grandchildren Brody Cline Waugh and Isabella Marie McNeely; and six siblings Phyllis Richards (Jeff), Cora Gamble (Bruce), Mary Slover, Patricia Thompson (Victor), Claude Beverly (Kristine) and William Beverly (Mary Lynn). Funeral service will be conducted 2 p.m. Saturday, November 3, 2018 at Hall Funeral Home and Crematory, Proctorville, Ohio by Pastor Bob Dudding. Burial will follow in Rome Cemetery, Proctorville, Ohio. Visitation will be held 1 to 2 p.m. Saturday, November 3, 2018 at the funeral home. Condolences may be expressed to the family at www.ehallfuneralhome.com. Lisa and I were in town this past weekend and stopped by your work to visit and was told about the passing of your mom. We are so sorry for your loss you and your family will be are our prayers. See you next trip.